In this episode, we continue our Father of Twins Interview Series with Justin Shull, father of boy/girl twins. 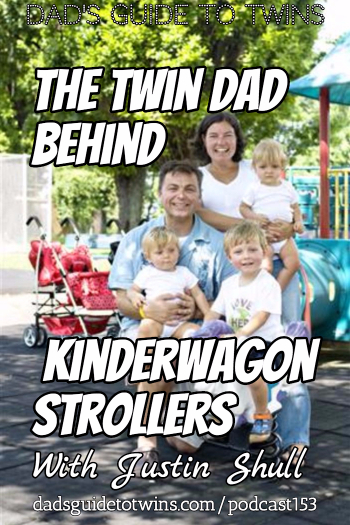 Justin and his wife Jennifer started Kinderwagon, a company that makes tandem strollers great for twins. 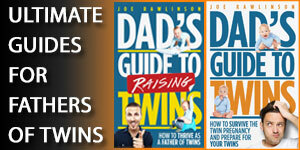 Joe:	Hello everybody and welcome to the 153rd episode of The Dad’s Guide to Twin’s Podcast. This is Joe Rawlinson. As always, you can find me on the web at twindadpodcast.com, where you’ll find the complete show notes and transcript for this episode as well as, every previous podcast episode. 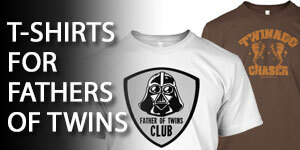 Today on the show, we are continuing our Father of Twins interview series with a fellow father of twins Justin Shull. Now Justin and his wife Jennifer are the founders of Kinder Wagon, a great company that makes strollers perfect for twins. He has a great surprise gift for us, for you as listeners. Let’s jump right into that interview with Justin. Today on the show, I’d like to welcome fellow father of twins Justin Shull, welcome to the show Justin. Justin:	Hi Joe, thanks for having me I appreciate it. Joe:	You’re welcome. Justin, tell us how old are your twins right now, and what’s the most exciting thing about this age? Justin:	Fletcher and Gretchen are our twins, and they are currently eight years old. Every day is exciting with Fletcher and Gretchen, they are both very different. They’re not alike in any way, but they make every day a lot of fun. Fletcher is extremely outgoing and will try anything, and Gretchen is more calculated but she’s a fantastic artist. Joe:	Awesome. I love how you’re able to identify their unique strengths, kind of personalities there. It’s one of the joys of being a parent of twins, is seeing how different they can be. So, rewind back to when you found out that you were having twins. What was your family situation like, and how was that news for you? Justin:	So, we had Oliver. Oliver was 20 months old at the time when we found out that Jennifer was pregnant with twins. It was very much a surprise. We went in for the ultrasound, and that’s when we saw that we had conceived twins. It was great news. Joe:	It was a surprise for us as well when we got the news about twins. How were you able to prepare your son for the twins’ arrival? Justin:	Well, being that he was only 20 months old at the time, it was kind of an easy process because he was very willing and accepting, and he was just excited to have siblings when we told him. But again, he was 20 months old, so he was kind of at that stage where he … I don’t know if he really realized what was going on until they arrived. Joe:	That’s right. One of our boys was about that age too when our twins were born. He knew that there was a baby inside mom’s tummy, we talked about babies inside mom’s tummy, but you’re right. I don’t think they really understood what was about to happen until the girls were born and we brought them home. Justin:	That’s exactly how it was for Oliver. Until they actually arrived home and he got to see them, that’s when it really clicked for him he thought, “Wow, this is now my brother and sister,” I think. Joe:	Did you have any challenges during the pregnancy? Justin:	The pregnancy went pretty smooth. At the time, we were living out in Western Pennsylvania in a small town called Somerset, when it came time to deliver, we had a little bit of an issue. Fletcher was head down, but Gretchen was head up as we all know is … parents of twins, that’s not exactly the optimal position to have one of the children in, but albeit kind of common from what I understand. Joe:	So, did that force a birth situation that was not what you were expecting? Justin:	No, it actually worked out pretty well because the doctor that we had used, he had a lot of experience in the Amish community where they don’t like to have surgery or C-sections done. So, he was quite skilled at doing the manipulating to get Gretchen turned from head up to head down. That process, Fletcher’s birth was very quick, but then for Gretchen, it took one hour to get her twisted and positioned to be in the head down position for birth. So, that was a very exciting process. Justin:	I have to add also that Jennifer didn’t have any painkillers, or a spinal tap or anything. She did it the old fashion way. Joe:	That is commendable for sure, not an easy task to deliver one baby let alone two, and to do so naturally. Impressive. So, they were born vaginally, born naturally, were there any complications or hospital stay for them? Justin:	No, there was no hospital stay other than the normal overnight at the hospital, and then we took them home. Now, they were a little jaundiced and so, we had to use the ultraviolet lights, like the sleep lights that you have for them. We put them in those for I forget how long the period was, maybe it was a couple of weeks maybe and that was all that we had to do. Joe:	That’s a pretty smooth transition back home, that’s good. 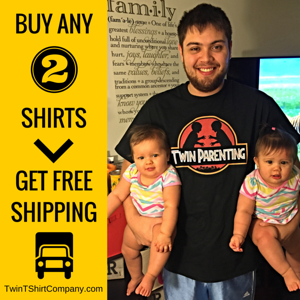 Once you brought them home, how was it like adjusting to life with twins? What were some of the big surprises that you had? Justin:	To transition from going from one to three. Beforehand, it was either Jennifer and I could be with Oliver, so we could always give the dedicated time. But then when Fletcher and Gretchen arrived, we now went from a man to man defense to a zone defense, which made things quite more complicated. It was perfect because we could sit in the bed, and have Fletcher in one, Gretchen in the other, myself or Jennifer could sit between them, and they could be laying down and each of them could be fed at the same time using the bottles, which was really handy. Joe:	That’s a pretty clever device. Yeah, anything we can get as parents to make life a little bit easier trying to juggle both twins at the same time is worth the investment. Justin:	The Nap Nannies were a godsend for use, they really helped out especially with feeding time, it really helped us out. You have a family of three children now and as they’re growing together, they’re all very young at the same time, so what were some of the milestones that they were hitting that were a challenge for you? Justin:	Probably when they first started getting mobile. So, for Fletcher … Once Fletcher learned how to crawl, he was unstoppable and he’d go everywhere in the house if we didn’t have him kind of pinned in with the baby gates. Gretchen on the other hand, which is still true to both of their natures, Gretchen was very reserved, she didn’t really wonder around too much. Wherever we had her, we knew she would stay where she was, but for Fletcher it was definitely once he started … Once he learned how to move around, he was always exploring as much as he could. Joe:	Yeah, childproofing takes on a whole new meaning when you have to childproof for multiple troublemakers at the same time. Justin:	It does. In fact, Fletcher’s nickname, and it still kind of is the same was Magellan the Wanderer. 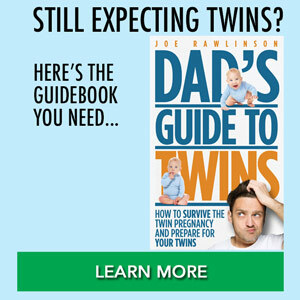 Joe:	So, how did the transition go with potty training for your twins? Justin:	Potty training. Well, we started potting training fairly early on. We probably started potty training I think it was around eight months, and it was on the plastic potties. What we would do is, we’d look for a facial gesture, and then we’d quickly disrobe them and put them on the potty. It worked, and it worked really well. It definitely helped out with the challenge of the dirty diapers. As far as how long it took them to take to that, it probably took again, probably about another five months I’d say before we really weren’t having any more accidents on that. Joe:	That’s still pretty good, that’s pretty early. Justin:	Yeah, and that was as far as just for bowel movements. Joe:	That’s good. I mean, they were still trained almost a year ahead of when most children are, which is pretty phenomenal. Justin:	We were able to experiment with their brother Oliver and we started him I think it was around seven months, we started him a little bit earlier. So, we kind of learned through that process with Ollie and then just applied the same concepts to Fletcher and Gretchen. Joe:	Excellent. That is one advantage of having more than one round of children is, you kind of learned from the first and can apply it to the rest. Joe:	So, how about the transition from cribs to big beds for your twins, how did that go? Justin:	It was about two years old, and we had made the transition over to it, because Fletcher had figured out how to climb out of his crib. So, once he figured out how to climb out, we figured it was safer to have them in beds. Justin:	Yes, and how old were yours when it happened? Joe:	They were about two, and as soon as one figures it out, the other one is watching and will follow suit pretty quickly. Justin:	Yeah, I would think. The good thing for us was again, Gretchen didn’t really … She was always a very relaxed and so, we weren’t too worried about her doing it. But at the same time, we realized that it was probably right around the corner. We chose to put them both into beds at that time. They always shared a bedroom too, so it worked out better at that point. Joe:	So, when it came time to transition to school for your twins, how did you decide if they’re going to be together or in separate classes? Justin:	When it came time for school, we decided that for all of our children that wanted them to go to a Montessori school. So starting in kindergarten, or Pre-K, they started. Actually, aside from just Fletcher and Gretchen being in the same class, it turned out that Oliver, Fletcher, and Gretchen were in the same class, because they’re only grade year apart. The way that system works is actually, it’s a three year cycle that they were on. So then say grades one, two, and three would be the next class that would be grouped together. It worked well because Fletcher and Gretchen, again, being so different, they worked wonderfully together, but they can also work apart and be very independent of each other. So, there was no conflict, it was real easy for them to do that. In fact, they still are in the same class today. Joe:	That’s wonderful that they compliment each other in that way. We’ve ended up having to separate our girls in different classes, and there’s been advantages and disadvantages to that. I think it’s good that you’re able to hone in on their individual needs, and be able to find a situation that’s really good for them. What’s one thing that you wished you had known before your twins were born? Justin:	The initial stages of feeding oddly enough, because it took a little while to figure out the Nap Nanny way of feeding them, which really helped us a lot when they were babies. Joe:	Have you and your family been able to travel with the twins when they were young, or you had to wait until they were a little bit older? Justin:	We traveled quite extensively with the children. Just recently, we finished up a trip to Puerto Vallarta. They travel very well, they’re very content. Also, because of the way youngsters like to kick the seats, what we’ll do is, we’ll also put Jennifer and Gretchen in the front row in front of us, and then we’ll put myself, Fletcher, and Oliver behind them, because Gretchen doesn’t put her feet on the seat backs in front of her where Fletcher and Oliver can have a tendency to do that. So, out of respect for other passengers. Joe:	That’s great. That’s great you’ve been able to identify how to best seat them on the airplane. We’ve had to pay attention to what works and what doesn’t work when we’ve been traveling with our kids as well. Every time we travel, they’re at a slightly different age, slightly different milestones and every trip is a little bit different than the previous one. So Justin, you and your wife have a pretty interesting company, Kinderwagon, can you tell us a little bit about that company and what was the impetus for creating those initial products? Justin:	Funny enough, Fletcher and Gretchen our twins, they were the catalyst behind Kinderwagon. Jennifer was pregnant with Fletcher and Gretchen, and we were looking around at what our options were to get them around. We didn’t like what was available. They were either too long and complicated, the Tandem strollers. We’d have to remove a seat and put them back on, or you’d have to take one kid and kind of put them underneath without a view in the lower seat, or they were very wide and also kind of heavy. That’s when we put pen to paper and started to develop our first stroller. Joe:	So, how long did it take you to bring your first stroller to market? Justin:	It took a little over a year, it was in development from the time that we first started. The first stroller it’s called “The Kinderwagon Hop,” and that’s a tandem umbrella stroller that’s very lightweight, very narrow, both children get a view, and it’s about the same size as a single stroller, and better than some as well. Joe:	Pretty innovative stroller. I was able to see it a couple of weeks ago when we met in person. For our listeners, I’ll link up to that in the show notes, so you can check out that stroller as well. 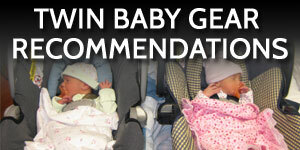 So Justin as a parent, and we’re trying to decide, what’s the best stroller? What are some of the maybe safety features or features of the stroller that we should be looking for that would be good for our twins? Justin:	Something that was really important for Jennifer and I was that, we wanted both of the children to have a view of the world. That’s why we designed “Hop” with stadium seating. We didn’t want one child to be looking at the back of the other, and so the stadium seating really helps with that. For us, the compact size was important, and being lightweight. The reason being was, because we still wanted to be able to make getting around for us easy. If we wanted to go for instance, into a Starbucks or another coffee shop and get a coffee, we didn’t want to be knocking things over in the coffee shop as we were maneuvering around. Joe:	Yeah, having to alter a couple of different double strollers ourselves, that is a challenge is navigating through tight spaces, through crowds, through doorways. Justin:	Putting it in the back of your car. Joe:	Exactly, getting it collapsed and fitting and still having room for your other stuff like, your groceries or your diaper bag and stuff like that. So from that initial idea of creating the first Hop stroller, what came after that? Ideas, were they generated from your family’s needs, or from listening to customers? Justin:	They were generated primarily from our family needs. So, we knew that originally that we wanted to come out with three different types of umbrella strollers if you will. Jennifer right from the start, she knew what she was going to name them. The names of them are Hop, that was the first one, Skip, and Jump. Jump is another tandem stroller, so one child sits behind the other, but Jump is designed for children that are further apart in age. So, the older child, or a toddler can feel like they have their independence and they can walk. But as soon as they get tired, and they asked to be carried, they can just go ahead instead and sit on the back jump seat of the Jump stroller. When they’re sitting in that seat, they’re actually facing mom or dad, and there is also a safety belt on that seat as well. Joe:	So, you come up with products that kind of evolve as your children grow, and the needs of your family change. Justin:	Yes. Then, we designed skip as well. Skip is a single umbrella stroller, and we did that because we wanted to make a quality lightweight umbrella stroller that had great functionality, and that’s where Skip came in. Joe:	That’s great, because not everybody is as lucky as we are to have two babies at the same time, right? Joe:	So Justin, if people wanted to check out more about your strollers, where should they go? Justin:	They can find us at Kinderwagon.com. 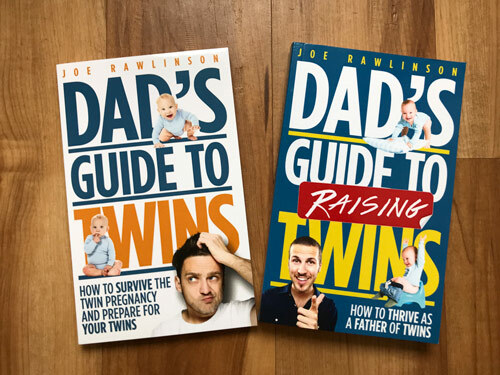 Joe:	So, if you could give one piece of advice to other twin dads to help keep their marriage strong through the challenges of expecting and raising twins, what would that be? Justin:	I think it’s really important to try to spend quality time not only with the entire family, but then, each child needs their own time. It may sound obvious, but I think it’s really important, so each of them feel special. Taking time out for just you and your spouse as well. Life can get very busy when you have twins, you kind of forget to focus on some of the things that might be important such as, your marriage and just having quality time. So, it’s important to kind of also find that quality time for you and your spouse, so you can sit down and exhale and just kind of realize what you’re accomplishing and find the joy in every moment of raising your twins. Then our case, we have Oliver too, so we have three. So, find the joy in raising your family and being with them. That’s the most important thing that I can share. Joe:	That’s great advice, wonderful. How about, what are some ways that you’ve found to keep an individual relationship with each of your children? Justin:	Again, it’s finding things to do differently with each of them. So for instance, with my son Oliver, he really likes history. So, we’ll watch history documentaries together. He also really likes to ride his bike, so we’ll go out and do some biking together. Fletcher, he really enjoys doing different types of video games. So, I try to participate in that with him as well. He likes to go out and do nice hikes with me, so we’ll go out and we’ll go for a walk along the ocean, or we’ll go to the woods somewhere and find some nice nature trails. Then Gretchen, she’s really into arts and crafts and so with her, the important thing is to kind of help her with that, and to have fun building things and being creative. Joe:	That’s wonderful that you’re able to identify their individual interests, and then tailor your time with them to kind of focus on those interests and strengths. So, now that your twins are older and we’re past the survival phase, what’s working right now with parenting? Justin:	Listening to them and letting them know that we hear them, and giving them our time, and just trying to find the special moments that we can have together. I think that’s the biggest thing. I think if they feel like they’re getting the attention and love that they deserve and need, I think it leads to very happy children. Joe:	So Justin, as we wrap up today, if listeners want to connect with you, what’s the best way to reach out? Justin:	You can email me at [email protected] Joe, I’m really happy to tell you also that we would like to do a giveaway of the Hop stroller, which is actually the stroller that we designed for Fletcher and Gretchen. Joe:	Fantastic, so this stroller is ideal for what size children? Justin:	The front seat is going to be from six months forward, and the rear seat three months forward, and it’s about 50 pounds maximum per seat. Joe:	That’s great, so it’s a good stroller after your kids are kind of moving out of those infant car seat carriers, they can move into the Hop? Justin:	That’s correct. They can move in after that point, and the stroller, it’s total weight is 21 and a half pounds. Joe:	Excellent, so very lightweight, very portable. That’s great, thank you so much for donating that to our listeners. So listeners, if you want to enter to win this Hop stroller from Kinderwagon, head on over to the show notes at twindadpodcast.com, it’ll have instructions of what you need to do to join us on Facebook and Instagram to get your entries in to win this stroller. Thank you again Justin for donating that to our listeners, it will come in very handy for one lucky twin parent. Justin:	Excellent, we look forward to it. Joe:	Justin, thank you so much for sharing your story with us today, we really appreciate it. Justin:	All right Joe, thank you very much for having me. I appreciate it. Joe:	I hope you enjoyed the interview with Justin today, one of the founders of Kinderwagon. Okay so, if you want to enter to win the Kinderwagon Hop tandem stroller, here’s what you need to do: We’re going to have you enter over on our social media at Facebook and on Instagram. First on Facebook, if you head over to Facebook.com/dadsguidetotwins, look for the post with the stroller, and you can enter to win right there on Facebook. Also, you can get an additional entry over on Instagram. If you go to … my Instagram, it’s @twindadjoe, look for the post with the stroller, and you can enter to win there as well. So, you increase your chances of winning if you head over to Facebook and Instagram. 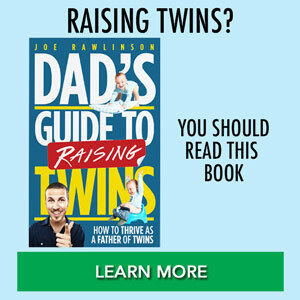 Now, if you want specific instructions on how to enter to win, head over to the show notes for this podcast over at twindadpodcast.com, and look for the podcast 153 with Justin. Thank you so much for listening to the show today, I really appreciate it, and we’ll see you next time.